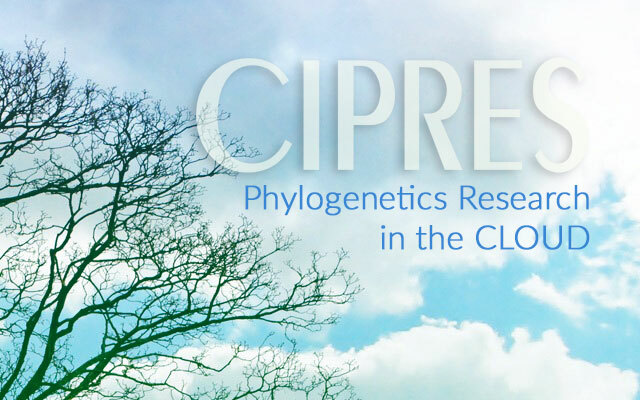 8 Apr 2019 San Diego - The widely used CyberInfrastructure for Phylogenetic REsearch (CIPRES) science gateway, based at the San Diego Supercomputer Center (SDSC) at UC San Diego, has been awarded a one-year Internet2 grant funded by the National Science Foundation (NSF). The grant will let gateway users take advantage of more powerful compute processors available from a commercial cloud provider to accelerate their scientific discoveries. Internet2 leads a project called Exploring Clouds for Acceleration of Science (E-CAS) in partnership with representative commercial Cloud providers. The project is funded under a collaboration with the NSF to support academic-based researchers who can benefit from access to commercial Clouds. For SDSC's grant, the Cloud provider will be Amazon Web Services (AWS), a subsidiary of Amazon. Access to AWS will be free for researchers using CIPRES during the period of the award. "This award will allow us to take the first step in Cloud bursting: to let users access the latest graphics processing units (GPUs) at AWS", stated SDSC Bioinformatics Researcher Mark Miller, principal investigator for CIPRES. "GPUs can speed up some CIPRES analyses by tens of times compared to traditional CPU cores. However, currently CIPRES has access to only a modest number of older-generation GPUs. The availability of more GPUs that are also faster will allow our users to ask much harder questions, and will increase research throughput and productivity as well." Currently, CIPRES runs parallel versions of 17 widely used sequence alignment, tree inference, and population biology codes on SDSC's Comet supercomputer, which has both CPU cores and GPUs. Formed in 2009 under an NSF grant, CIPRES has delivered more than 100 million equivalent-core hours of compute time to scientists. "The long term vision is to allow CIPRES users to Cloud burst to AWS compute resources for any analysis, including those on CPU cores as well as on GPUs. Demand for compute time via CIPRES currently exceeds 20 million core hours per year and is growing", stated Mark Miller. "That's a lot of time, but with so many users, we still have to limit the amount any individual can use. The ability to cloud burst to AWS for all codes will help us meet the growing demand for core hours as well as that for GPU hours." To date, CIPRES has supported more than 35,000 scientists in producing 5,500 peer-reviewed papers published in journals such asNature,Cell,Science, andProceedings of the National Academy of Sciences(PNAS). Internet2 is a member-driven advanced technology community founded in 1996 by the USA's leading higher education institutions. It operates the USA's largest and fastest, coast-to-coast research and education network to deliver advanced services that are accessed and secured by the community-developed trust and identity framework. For more information, you can visit the NSF's E-CAS award.